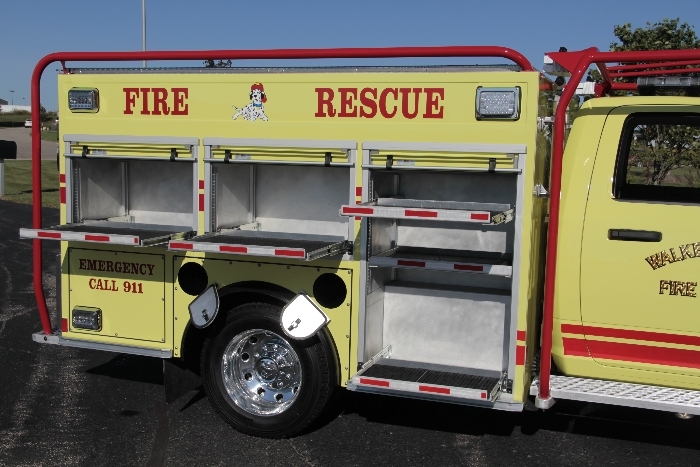 This Quick Attack Brush Truck has an aluminum extruded body with an integral inset APR tank with built in speedlays and suction hose storage. 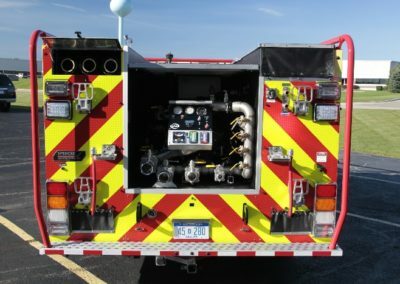 Mounted on a 4×4 Dodge 5500 with skid plates, this vehicle is equipped with a remotely operated Hale HPX350 Pump, a remote controlled turret, 350 gallons of water and 5 gallons of foam. 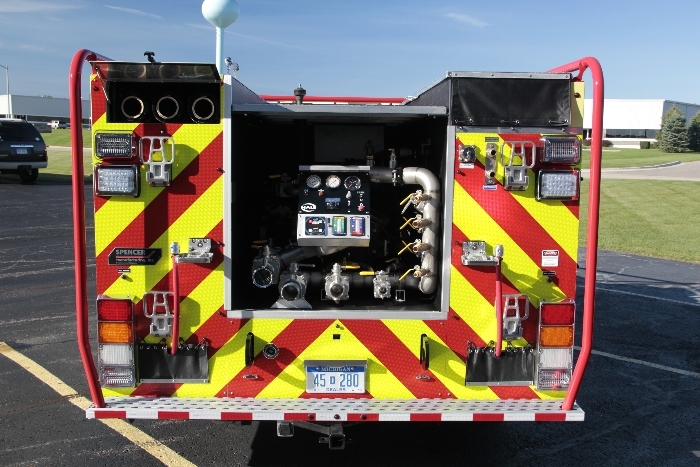 The custom plumbing of the manifold was designed to allow a supply truck to feed the 13 total discharges on this extremely versatile unit. 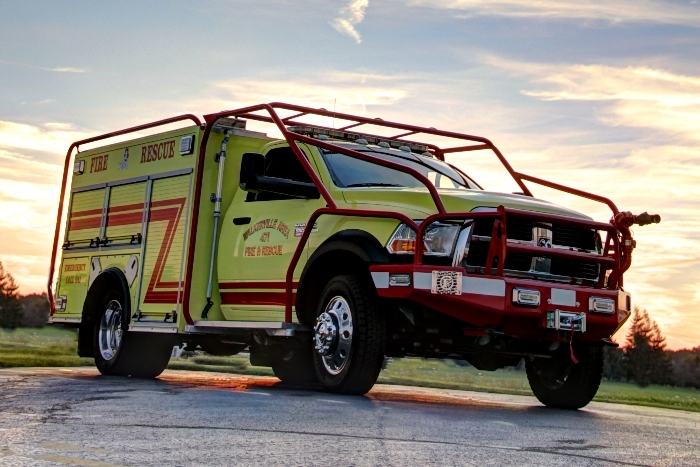 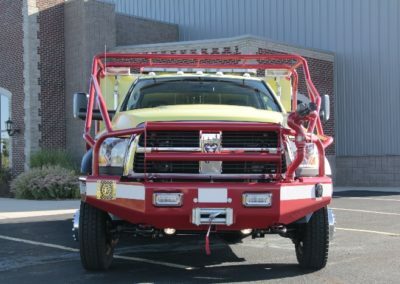 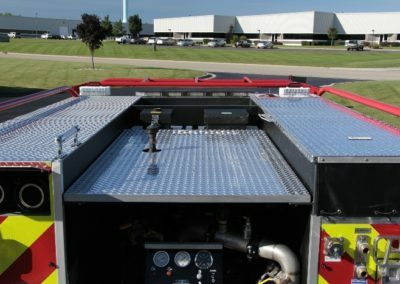 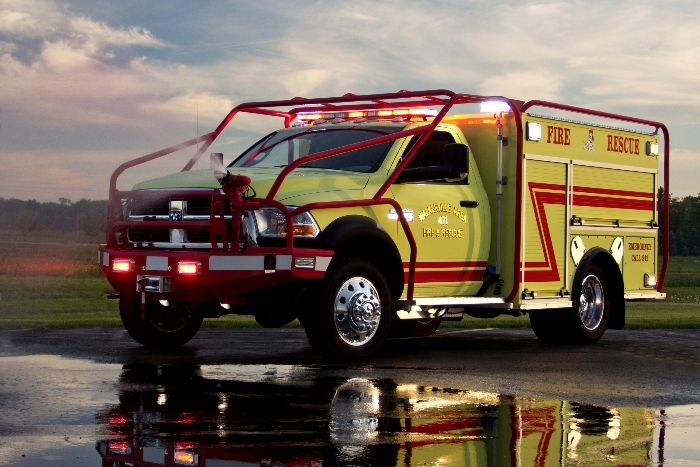 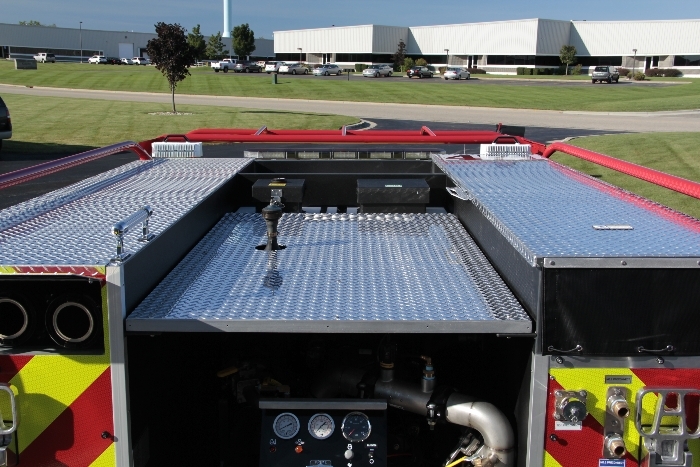 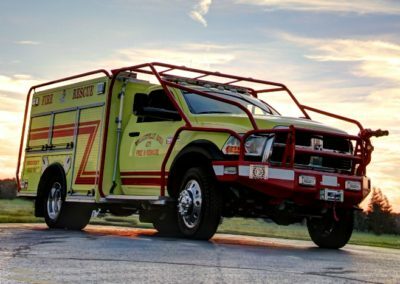 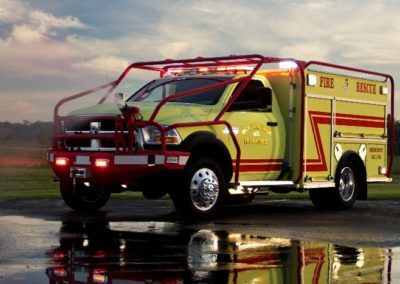 The custom-built bumper and roll-cage provide the protection and toughness needed to fight fires in off-road environments. 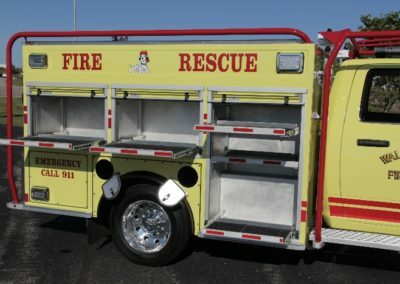 Two Akron Booster Reels are enclosed in compartments in the lower rear corners of the body and removed from the elements, and are deployable from the rear through access holes protected with removable covers.